Spanish Express offers a variety of tailor-made courses designed to meet every need, assisting companies and individuals of all ages. From students needing extra support in school to professionals looking to improve their language skills at work, we have a solution for each individual. Our team is dedicated to delivering high quality tuition, around the clock. Therefore, we offer all kinds of programs to suit your lifestyle, from evening courses to flexible private tuition. Our courses are currently offered in London and Ipswich, but our Skype programme is ideal for clients across the country needing Spanish tuition. Whatever your individual needs, we have a solution for you! Learn Spanish in a fun and interactive way by taking part in our Summer Course. This is ideal for complete beginners and false beginners. 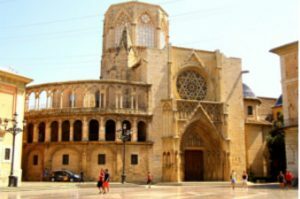 This course is designed for clients looking to enrich their experience abroad when in Spain by learning fundamental Spanish, and all the necessary phrases to use whilst on vacation! Taught in our London school as an evening course, students can meet friends and learn Spanish in a fun and sociable way. To top it all off, we will celebrate your newly acquired Spanish skills with a Tapas party at the end of the course! DELE is an internationally recognised certificate from the highly regarded Instituto Cervantes. We offer preparation courses for this exam, starting with the beginner level A1 up to C2. Some levels of DELE are offered as part of our Evening Courses, however all levels are offered through Private Tuition. DELE is a fantastic addition to your CV, and is perfect if you are looking to take the exam at your own pace as there are various opportunities throughout the year to do so. In London we offer a variety of Evening Courses to help our students make the most of learning Spanish outside of the working day. 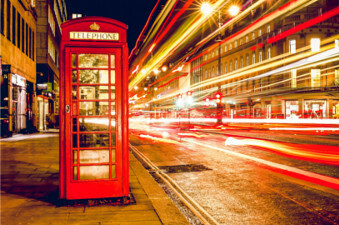 Our central location in Aldgate is easily accessible from any location. Principally we offer 3 courses in the evening, designed with different goals in mind. The General Spanish Course is for those looking to learn Spanish at their own pace. The evening DELE Course is designed to prepare students for the corresponding exam. The Evening Business Course is tailored to those looking to learn Spanish through business jargon and vocabulary. Groups are capped at 12 students, therefore classes are still personal and engaging. Spanish Express offers Spanish courses from beginner through to advanced and casual learner through to the business focussed. Our evening group courses run with a minimum of 6 and a maximum of 12 students. This service is currently offered in London exclusively. Private tuition is a fantastic option for all students. We recommend this to suit any ability or lifestyle, as it is completely flexible in terms of timetable and content covered. On average, students spend 30% less time (and subsequently money!) on one-on-one tuition than they would in group classes, as they are able to work directly with their tutors at a pace that suits them. Whether you are a complete beginner or have some experience speaking Spanish, we can adjust your classes according to your level. We also offer preparation courses for a range of exams through private tuition, and this makes a fantastic addition to your CV as languages are increasingly desirable. Our GCSE and A Level courses are ideal for those looking to add another, extremely valuable qualification to their CV. Acquiring language skills automatically makes you stand out from the crowd. We also offer these services to students already taking these exams, such as secondary school and sixth form students looking to get additional help for upcoming tests. These courses are delivered through private tuition. This way, you can progress with the course at your own pace and at a time that suits you. Learn Spanish from the comfort of your sofa! Our Skype Programme is recommended for anyone looking for Spanish Tuition but cannot make classes or arrange tuition. This option is perfect for those who have less flexible timetables. Our tutors can prepare exam courses, general Spanish courses or lessons focused on specific content depending on your needs. Your tutor will make you feel confident speaking and communicating in Spanish, and provide you with a range of resources to use in your spare time outside of lessons. Our Corporate Programme is ideal for those looking to encourage their employees to learn a new language, and works as a great way to bring something different to the office. Unlike our Business Course, which is a fixed class run in the evenings, our Corporate Programme is tailor-made to your company’s needs. Our tutors can run sessions at any time from 8am to 8pm, and can come directly to your office space. Content and duration can be arranged individually with the tutor, making this course entirely flexible. Ideal for school children of all ages. The contents, times and starting dates of these private classes can be arranged to suit the individual children’s requirements.Private tuition is ideal for children who prefer a more focused learning environment. Our qualified tutors offer an extremely personalised language learning programme that ensures maximum attention is paid to your child’s individual needs and skills. We have different levels depending on age and ability: children with little Spanish or even complete beginners, children who have a basic knowledge of Spanish but want to improve and gain some confidence, and also children who are studying Spanish at school but would like some extra help. Our teaching methods place special emphasis on the development of language skills in the form of oral and written communication, while continuing to pay attention to the theoretical aspects of the Spanish language. 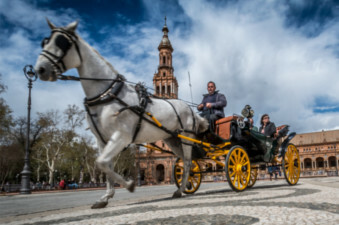 Spanish Express brings to you a unique, tailor-made Immersion Experience in Valencia. This course offers you the best of both worlds; an opportunity to become acquainted with one of Spain’s most beautiful cities, all whilst soaking up the culture and linguistic skills in a fun and adventurous way. Immerse yourself in your tutor’s lifestyle and live in their home, and feel truly Spanish! Spanish Express provides different Spanish courses in London for both companies and people: individual and group lessons, business and cultural seminars and translation services. At Spanish Express they select for you the best Spanish schools in Spain and other Latin American countries so that you can be sure of learning Spanish during your international stay.